Jimmy Beans Wool is all about having fun while we create our knit goodies, and they’re getting into the election spirit with limited edition colorways of Lorna’s Laces Shepherd Worsted. There’s blue state, red state, independent and none of the above. The first two are rather self-explanatory, with either red or blue and gray tones. The indie colorway is dominated by orange and green, while none of the above, which is probably my favorite from a color standpoint, is in shades of pink. 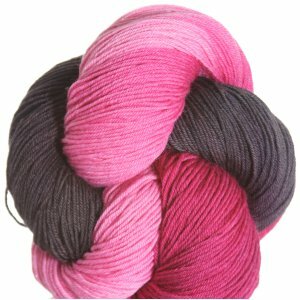 The skeins retail for $24.95 and are pig enough to make a pair of adult socks. Jimmy Beans is tallying the “votes” as people purchase different colors. Last time I checked blue state was in the lead. Which would you “vote” for? I have to say that I am a bit partial to Indie, but then None of the Above is great too!! BUT if I have to choose one I’ll go with Indie…sigh…like I need more yarn!! Ha ha! !